Please check the Florida State Parks website while planning your trip to ensure the park is open and available for use. Just below Panama City, T. H. Stone Memorial St. Joseph Peninsula State Park has a wilderness preserve, 119 campsites and seven cabins that accommodate everyone from primitive campers to glampers. Campers may leave their boat in the marina basin overnight and there is a small additional fee to use the ramp, but parking is limited. The park is an international destination for bird watchers and access to both the Gulf of Mexico and St. Joseph Bay offers a great experience for all kinds of water lovers. This 9-mile barrier island park originally inhabited by fishing families is only accessible by private boat or the public passenger ferry. Cayo Costa is located 4 nautical miles west of Pine Island and offers a bayside park dock for overnight boaters. The slips are first come first serve and do not have water or electricity. Tent sites and primitive cabins are available for land campers. The Cayo Costa Camp Store has firewood, ice, and rentals for kayaking, canoeing, paddleboards and bicycles. After local fishermen noticed a decline in the bay’s fish population in 1966, Estero Bay was deemed Florida’s first aquatic preserve. The Estero Bay Preserve State Park in Estero, just south of Fort Myers, offers miles of trails for hiking and over 7,000 acres of mangrove forests to explore by boat. There are not boat slips at this park, but there are ramps at the east side of Estero Bay in Koreshan State Park and on the west side at Lovers Key/Carl E. Johnson State Park. There are over 50 campsites available for RV, trailer or tent camping, plus designated areas for parking boats and trailers. Long Key State Park is in the Florida Keys at mile-market 67.5, only 100 feet from the Atlantic Ocean. Boat camping here is only accessible for flats boats since the water is very shallow and the park requires you to anchor about 30-40 feet out from land. 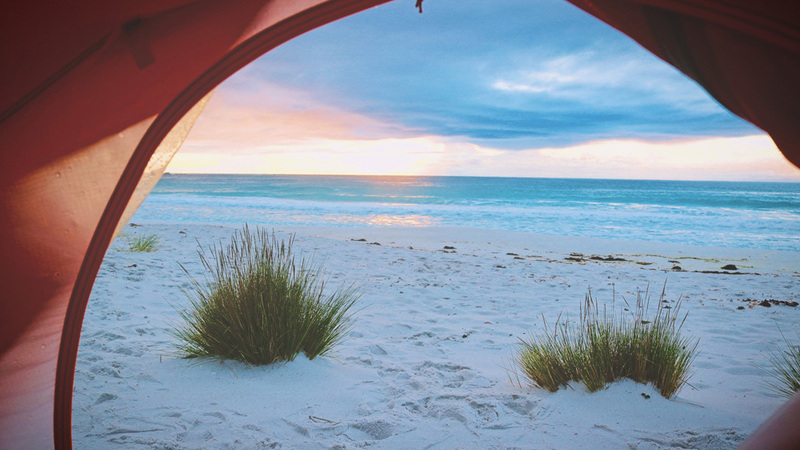 This full-service campground is known for its views, as all 60 of its campsites overlook the ocean. In addition to all of the activities you’d expect like fishing, beachcombing, and snorkeling, it is also handicapped accessible and pet friendly. There are hundreds of boat camping options in Florida but no matter where you go, don’t forget that roughin’ it ain’t for the faint of heart. Be sure to check out the details of the campground to see if they have the accommodations you and your fellow campers require. Experienced campers will know that the packing list may change for various reasons, so check out this basic packing list and these popular accessories before you set out on your boating camping adventure. Boat camping can be a super memorable experience and we’d be jealous if you didn’t at least share a photo of your trip with us. If you take a boat camping trip near Southwest Florida, direct message us a photo of your boat and campsite for a chance to be featured on Go Boating Florida’s social media. Be safe and happy camping!